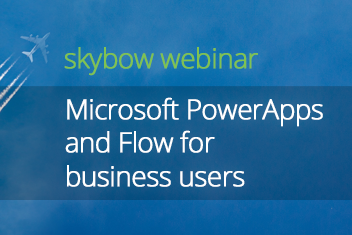 Microsoft PowerApps and Flow for business users. Microsoft has presented a new way for creating mobile and responsive user interfaces – PowerApps and Flow. Data-bound mobile apps, connectivity to SharePoint, responsive web apps, in a matter of minutes; now that’s a promise! In this session, we will present PowerApps and Flow – what is it, which benefits does it bring for businesses and the users, what can it offer, what are the limitations. All that with a live demo: we are going to create a mobile app – from the business user perspective – from scratch. Gregory from Switzerland has asked if Powerapps can connect to SharePoint on premise? Yes, through the On-premises data gateway, the same one that PowerBI uses to connect to on-prem data. Gregory asked again, if Powerapps connect to office Graph? not yet, since PowerApps cannt pass AAD Authentication Tokens to the Graph API. The next question was, what is the best place to store PowerApps data if I need record level permission, or is this not a well supported feature yet? The best option is still SharePoint Online lists, since Common Data Model (CDM) does not support granular permissions management. The next question was about Skybow Rich Forms, to they automatically scale to mobile views? The answer is yes, if they are built that way (with horizontal and vertical groups), and if SharePoint that host the forms is made responsive. Alistair from South Africa said - awesome stuff. Thank you for being with us, Alistair.